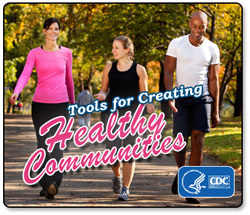 The HPRCD conducts research in health promotion and obesity prevention. Our work includes community-based behavioral interventions. Under the leadership of Stephen Bartels, MD, MS, the SAMHSA-HRSA Center for Integrated Health Solutions engaged the Dartmouth Health Promotion Research Team, to conduct a Research Review of Health Promotion Programs for People with Serious Mental Illness. Read the review findings here! Stephen Bartels, MD, MS, discusses InSHAPE®, a wellness program designed to improve the physical health of people with serious mental illness. Part of the effort to curb child obesity in the US has been to rethink vending machines – in particular, those offering sugary drinks at schools. The theory is that students make healthier choices when they have healthier options in front of them. Listen to this story on All Things Considered featuring our PI, Anna Adachi-Mejia, PhD. An innovative "Photovoice" study led by Anna Adachi-Mejia, PhD, focused on identifying factors that influence health--from kids' perspectives.